With the crazy, after school/work rush to get the laundry completed, tidying up done and dinner on the table, I've been leaving Bubs to his own devices. In the beginning, he'd try to tug on my heartstrings by calling out "Mummy, can you please come here and look after me? I'm lonely ...". Lately, he has been surprisingly cooperative about playing with his toys by himself while I beg him for just some time to get things done. There was once where he had been silent the whole time that my mummy senses were tingling. "Bubs, what are you up to?" 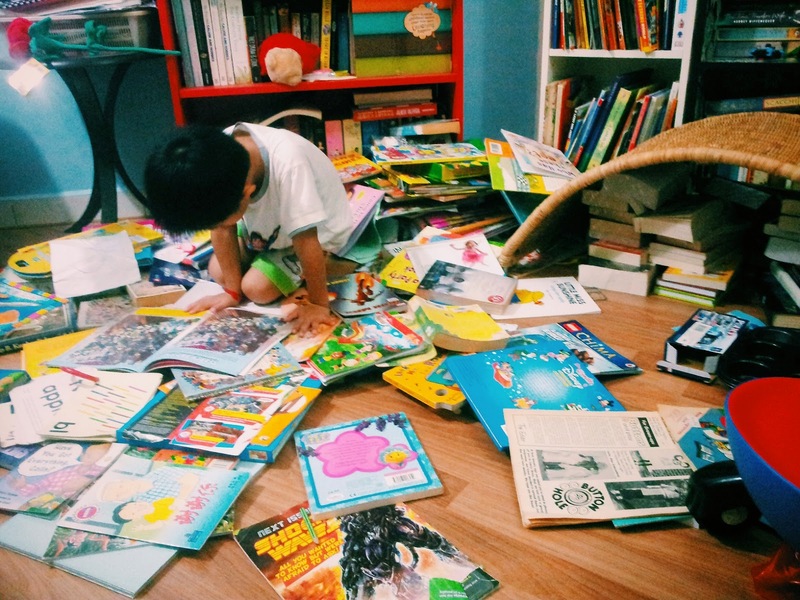 Bubs surrounded with piles of books, quietly focused with his reading. Previously, even though he likes reading, he goes through maybe just a couple before he loses his patience and moves on to the next activity so I found this to be such an amazing sight. 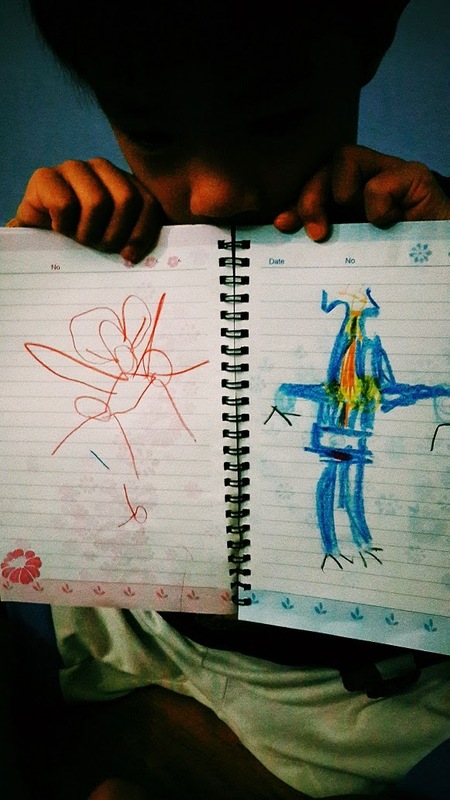 He has been showing greater interest in sketching and colouring. 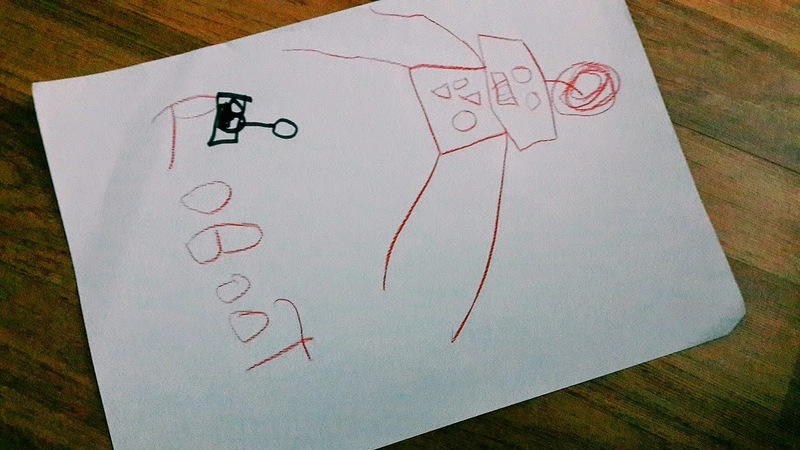 This is his version of Baymax and Fed from Big Hero 6.